Subscription Request Form Reference Question Register for a Class! Welcome to the Calder Medical Library Resource Guide for Online Tutorials! We have designed this guide to provide easy access to tutorials for the most popular databases and software applications available to our patrons. We hope you find this page useful! PubMed provides access to MEDLINE, the National Library of Medicine's database of citations and abstracts in the fields of medicine, nursing, health care systems, preclinical sciences, and other biomedical topics. This recorded Calder Library Training Session will teach you the basics of searching PubMed. During this class, participants will be able to do a basic keyword search in PubMed, apply filters/limits to streamline the search results, print, save, and email citations, access full-text articles, and create a MyNCBI account. In this recorded Calder Library Training Session, learn more advanced search techniques using PubMed. Participants will learn to do PubMed Advanced Searches using Medical Subject Headings (MeSH) and subheadings, Boolean operators (AND, OR, NOT), and other more advanced search techniques. Detailed explanation of all filters and management options will be offered such as formatting citations to export into Citation Manager programs (RefWorks/EndNote). Using their MyNCBI accounts, participants will learn how to set up alerts when new publications of interest are published, create bibliographies, and save searches for future use. Learn from this live Calder Library Training Session the basics of contructing the PICO question. Learn the basics of the EndNote, Mendeley and RefWorks Citation Management software from Calder Librarians from live training sessions and video recordings. EndNote stores references you collect from databases, library catalogues or create manually. The program automatically formats the saved references in any standard citation format. Using EndNote, you can cite as you type your paper and create your bibliography by pulling from your stored references. EndNote is also capable of saving full-text articles (in PDF format and/or in text), organizing image files, searching online and much more. MENDELEY Institution Edition (Elsevier) is a reference manager and academic social network that can help organize documents, collaborate with others online, and discover the latest research. This session will provide a comprehensive introduction to Mendeley with hands-on exercises on how to organize your research library, collaborate with others online, and discover relevant papers in Mendeley. RefWorks is a web-based bibliography and database manager. This is an introductory class in which participants will learn how to use RefWorks to create personal databases of imported references from online databases and how to store, retrieve, and format them for publication. If you spend more than an hour formatting your references for your paper's bibliography then you are working way too hard. We will show you how citing within your paper and creating your paper's bibliography can take only minutes. 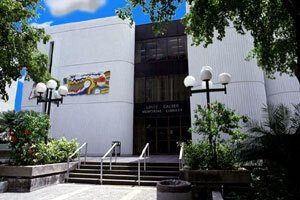 The University of Miami's Louis Calder Memorial Library is the place to find authoritative, current, and relevant information for patient care, research, and education. 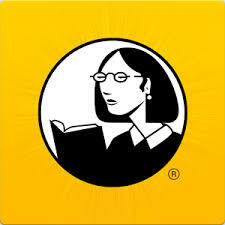 Lynda.com offers thousands of video courses in software, creative, and business skills. View over 42,000 how-to videos on a wide-range of software applications, from Microsoft Word and Adobe Photoshop to Final Cut Studio. Note: UM users must create a free, individual account in order to access content. These databases are subscription-based and accessible only to University of Miami authorized users with a CaneID and password. An overview of the main features of Access Medicine. Discover the latest in training videos, live webinars, recent recorded webinars and other materials that can help you or your users uncover more from the Cochrane Library Training Hub. DynaMed Plus is a clinical reference tool created by physicians for physicians and other health care professionals for use at the point-of-care. Isabel is an award-winning, clinical decision support system designed to enhance the quality of diagnosis decision making. This course will highlight the unique structure of this database (including MeSH and the Tree) and includes a detailed review of specific limits, fields and search tips for this resource. Whether you're a first-time Ovid customer or an experienced user, Ovid's training and help options can make using Ovid products smooth and efficient. Learn how to use specific resources such as Medline, PsycINFO, Books@Ovid, Journals @Ovid and more. Training videos that demonstrate PsycINFO on the EBSCOhost platform. The databases are PsycINFO, PsycARTICLES, PsycEXTRA, and PsycCRITIQUES. Pubget is a search engine for life-science PDFs. View tutorials on various aspects of using the Scopus database. Connect with Scopus experts through our Scopus webinar series. The webinars cover topics relevant to both Scopus users and librarians. Learn about best practices, content selection and coverage, metrics to track and understand research impact, and more. Veiw videos on various aspects of using UpToDate. User Manuals can also be accessed by clicking the User Manual tab on the left side of the page. Diagnostic decision support system (CDSS) merges medical images and expert information to help you build a patient-centric differential diagnosis. Images are now integrated with DynaMed and UpToDate searches. Watch updated video tutorials for desktop, iOS, and Android to know about all the features VisualDx has added over the past year and how they work. Most videos are 2 minutes or less so you can quickly zero in on the feature you want to learn more about. All VisualDx tutorials are available on their website or on YouTube. The Web of ScienceSM (formerly Web of Knowledge) is today's premier research platform, helping you quickly find, analyze, and share information in the sciences, social sciences, arts, and humanities. EMBASE provides extensive coverage of international biomedical journals and conferences and is a key resource for generating systematic reviews, making informed decisions in evidence-based medicine, and for post-market surveillance of drugs and medical devices. What does EMBASE have to offer? Over 300,000 conference abstracts each year - �?information that will not be retrieved if searching MEDLINE alone. Deep Indexing: Allows users to find the exact biomedical information they are looking for. Easy Searching: Unique features include automatic alerts and search forms that support drug, device, and disease-focused searching. Comprehensive Coverage: Conference and journal coverage dating as far back as 1947 lets users access information they can't find anywhere else. EMBASE supports the worldwide biomedical research community, providing the most relevant and up-to-date information from biomedical literature. Avoid missing vital information in a field of research, build comprehensive databases of evidence gathered from trusted sources and assess the quality of information to drive clinical decision making. Compare therapeutic effects of substances on a disease, look up reported economic evaluations of specific drug therapies, track a specific drug trade name and retrieve information needed to comply with legislation and regulations. Sign up for your own EMBASE account! The first guide in our series shows you how to access EMBASE, whether youâ€™re within or outside of your instituteâ€™s IP range. The second guide in our series shows you how to use different EMBASE search forms to retrieve information from the biomedical literature. The third guide in the series shows you how to find relevant results when searching with the EMBASE thesaurus, Emtree. The fourth guide in the series shows you how to refine your search results to quickly find the most relevant information. ClinicalKey is a clinical search engine that supports clinical decisions by making it easier to find and apply relevant knowledge. We drive better care by delivering fast, concise answers when every second counts, and deep access to evidence whenever, wherever you need it. Fast: Answers questions quickly, recognizing relevant clinical concepts as you type and offering shortcuts to critical answers. Complete: Draws relevant answers from a wide range of current, comprehensive content across 30+ medical specialties. Convenient: Accessible at the patient bedside or on the go, making it easy to discover, share and apply content anywhere. Trusted: Content from Elsevier, the name healthcare professionals worldwide rely on. This recorded Calder Library Training Session will teach you the basics of searching PubMed. In this recorded Calder Library Training Session, learn more advanced search techniques using PubMed. This book contains information on PubMed, a service of the National Center for Biotechnology Information (NCBI) that includes millions of citations from MEDLINE and other life science journals for biomedical articles. From the National Library of Medicine (NLM); brief tutorials on specific topics. This tutorial teaches you how to evaluate the health information that you find on the Web. The Basic Local Alignment Search Tool (BLAST) finds regions oflocal similarity between sequences. The program compares nucleotide or proteinsequences to sequence databases and calculates the statistical significance of matches. BLAST can be used to infer functional and evolutionary relationships between sequences as well as help identify members of gene families. Cn3D is a visualization tool for biomolecular structures, sequences, and sequence alignments. What sets Cn3D apart from other software is its ability to correlate structure and sequence information: for example, a scientist can quickly find the residues in a crystal structure that correspond to known disease mutations, or conserved active site residues from a family of sequence homologs. Entrez is NCBI's primary text search and retrieval system that integrates the PubMed database of biomedical literature with 39 other literature and molecular databases including DNA and protein sequence, structure, gene, genome, genetic variation and gene expression. This course describes the range of available health statistics, identifies their sources and helps you understand how to use information about their structure as you search. ToxTutor introduces toxicology by covering dose and dose response, toxic effects, interactions, toxicity testing methods, risk assessment, and exposure standards and guidelines. In plain language and with helpful illustrations, the tutorial provides users of toxicology resources, including the NLM chemical and toxicological databases, with a basic understanding of the subject. The UMLS integrates and distributes key terminology, classification and coding standards, and associated resources to promote creation of more effective and interoperable biomedical information systems and services, including electronic health records. Find the most current video tutorials to help get the most out of NCBI resources on the NCBI YouTube Channel. Short tutorials to help get the most out of NCBI resources. Recordings of live webinars presented by NCBI staff beginning in 2014. NCBI's Genome Workbench for viewing and analysing sequence data. The Centre for Evidence-Based Medicine is committed to providing high quality training and education in the field of EBM. We provide a range of popular workshops and events for health professionals and researchers in practice. The Education Guides are provided as both online slideshows (tailored for individual use) and as downloadable PowerPoint files (for group presentations, full-screen viewing, and printing). JAMAevidence subscribers are welcome to use the presentation for educational and personal use. 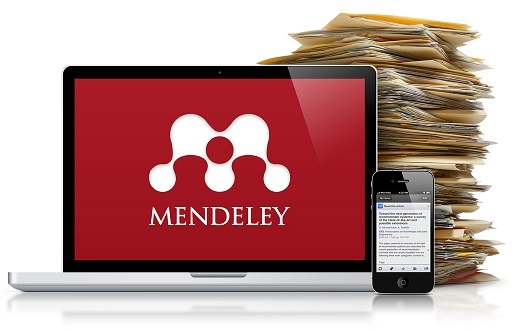 All UM students, faculty, and staff can access the upgraded Mendeley Institution Edition, the reference manager and academic social network that can help organize documents, collaborate with others online, and discover the latest research. UM researchers and authors will find this tool particularly useful. Learn more about Mendeley Institution Edition, by joining the University of Miami's group on Mendeley. Sharpen your EndNote research and writing skills with training guides, video tutorials and live online training. The Calder Medical Library Resource Guide for Clinical Psychiatry and Psychology will provide essential information for practitioners in clinical psychiatry and psychology. Welcome to the Calder Medical Library Resource Guide for Drug Information. This guide will provide essential information for your clinical practice. "EBM is the conscientious, explicit, and judicious use of current best evidence in making decisions about the care of individual patients. The practice of evidence based medicine means integrating individual clinical expertise with the best available external clinical evidence from systematic research ... thoughtful identification and compassionate use of individual patients' predicaments, rights, and preferences in making clinical decisions about their care". Sackett DL. Rosenberg WM. Gray JA. Haynes RB. Richardson WS. Evidence based medicine: what it is and what it isn't.BMJ. 312(7023):71-2, 1996. The Calder Library Guide for Clinicians will provide essential information for your clinical practice. Authoritative links were selected by professional medical librarians. A "little black bag" or collection of essential resources for mentoring and collaboration--a list of relevant links created by Calder Librarians. This Calder Library Guide for Medical Students has been created by professional medical librarians to assist medical students at the University of Miami Miller School of Medicine. The Calder Library Guide for Researchers has been created by professional medical librarians to assist researchers at the University of Miami. The Calder Library Medical Mobile Apps Guide will provide easy access to mobile apps for the most popular databases and software applications available to our patrons. The Calder Library Nursing Guide has been created by professional medical librarians to provide essential information for nursing practice. The Personal Librarian Program (PLP) has been created by professional Medical Librarians at the Louis Calder Memorial Library as a way to reach out to students on the medical campus. Personal Librarians will serve as a point of contact for the library. The Calder Library Guide for Public Health will provide essential information for your public health research. If you know Excel 2007, used an earlier version of Excel, or have never used Excel before, explore these resources to begin learning how to use the latest version. If you know PowerPoint 2007, used an earlier version of PowerPoint, or have never used PowerPoint before, explore these resources to begin learning how to use the latest version. See videos and tutorials on the latest version of Microsoft Word, as well as previous versions. There is also training for Word on Mac and various mobile platforms. Search thousands of templates for documents, presentations, spread sheets and more. View SAS training "how to" videos, tutorials and demos to learn tips and tricks for working with SAS software. SPSS is a statistics and data analysis program for businesses, governments, research institutes, and academic organizations. Online tutorials for computer programs, Web-based resources, high tech companies, and more. Note: Users must create a free, individual account in order to access content. The Public Health Information and Data Tutorial provides instruction for members of the public health workforce on issues related to information access and management. Copyright 2016 University of Miami. All Rights Reserved.